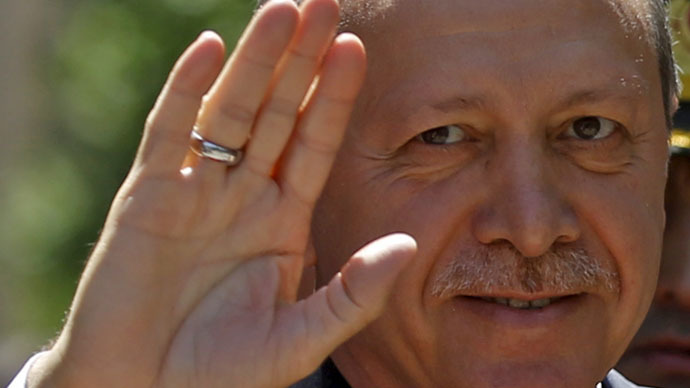 Turkey’s June 7 parliamentary elections are crucial for President Erdogan. Four years ago, his party got almost 50 percent of the vote, but without a majority he won’t be able to push through a constitutional change to a presidential republic. The Sunday’s vote will be the 24th elections in Turkey, in which 56 million voters will chose 550 MPs. To change the constitution and turn transform Turkey from a parliamentary republic into a presidential one, Erdogan’s party needs to have a majority. Twenty parties are running in the election, and four of them have the chance to win seats in parliament. Right now, there are three parliamentary parties: Erdogan’s Justice and Development Party, which has been ruling for 13 years, the Kemalist Republicans, and the Nationalist Movement Party. The Peoples' Democratic Party (HDP) is the dark horse in this race. The party became active on the political arena less than a year ago. Formally it is a Kurdish party, but it has been able to attract a large following from all kinds of opposition groups. Last year, its candidate carried out a shocking maneuver to get attention – he recited Armenian poetry. The left-wing wants to attract everybody who is not happy with Erdogan, who calls him “Sultan” and doesn’t like his pro-Islamist stance. If this party gets 10 percent of the votes, it will enter parliament and steal votes from Erdogan’s party. If the presidential party gets more than 45 percent of the votes and the People’s Democrats don’t get into parliament, then Erdogan will be able to change the constitution. But if the People’s Democrats announce that the vote was rigged, there might be protests, the opposition warns. But it is hard to predict how the situation will unfold. Kudret, a 42-year-old tour agency manager in Kusdasi, says he won’t vote for Erdogan’s Justice and Development Party, but instead is choosing the Republican People’s Party (the oldest Kemalist party in Turkey). Even though Kurdet is not one of Erdogan’s supporters, he likes many of his initiatives, he said. “He saved the economy. The infrastructure has improved. He allowed the hijab. Women can wear headscarves even in the parliament now,” Kudret said. Before Erdogan, Muslim women were not allowed to wear the hijab in schools, universities, government offices and banks. Ahead of the election, social media have been flooded with videos of police arresting Turkish Muslim women in headscarves. This attire was outlawed in the 1920s under Kemal Ataturk. Erdogan made the hijab legal again. He brought back azan and had mosques restored. “But this doesn’t make life better,” said Kudret, even though he understand that religion is more important than the economy for conservative groups. According to Kudret, there is no alternative to Erdogan in Turkey today. “Erdogan is pushing off all opponents,” he said. Thus, for instance, Erdogan’s long-time ally, Abdullah Gül, has left politics. Many are unhappy with a wave of arrests of prosecutors and journalists considered by those in power to be supporters of Fethullah Gülen, founder of the Gülen movement (Hizmet). Initially, Gülen supported Erdogan, but later they split. Gülen emigrated to the United States. His numerous supporters were labeled “a parallel state.” They didn’t form a political party. And yet, the ruling party blames Gülen for a number of scandals featuring leaked phone conversations of top government officials, and wire taps have been discovered even in the president’s residence. A significant number of Turkish intellectuals, including scientists, businessmen and public officials identify themselves, openly or secretly, with Gülen’s Hizmet movement. There is an active and influential part of the Turkish community throughout the world who are Gülen’s followers. It is largely thanks to their efforts that not a single Erdogan slip-up goes unnoticed. Erdogan enjoys the people’s support and lacks the support of the intellectual circles and leaders of the public opinion. Nothing in Turkey is black and white. Let’s take, for example, a religious conservative Turkish family that sticks to the rules of Islam, a family that is not part of Gülen’s “parallel state.” In Turkey, farmers and owners of small- and medium-sized businesses have always been independent of the state and have always voted freely, according to their preferences. However, as the economy has declined in recent years, the crisis is taking its toll on everyone, and large corporations are taking away business opportunities from those who used to constitute an independent majority in the country. Hasan Bey and Özlem Hanim have 19 children. They live in Bursa, a conservative neighborhood. He is 70, she is about 65. They have a large farm with an olive tree and a cherry tree orchard. 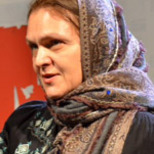 Özlem wears a hijab. Their eldest children live nearby. The sons of the family work in skiing resorts in winter, and sell the family’s fruit and vegetables at the market in summer. The family is not rich, but doing well. The education they’ve all completed doesn’t go beyond secondary school. The daughters have married well, for love. The elder sons have served their duty in the army, and the younger sons are to follow their suit – in Turkey, it is considered a shame for a family to fail to complete military service. They are unhappy with the economic situation in the country’s agricultural sector. They also say the tourism economy is dwindling.Therefore they believe that Erdogan will not be able to receive as much support as he did last year, which means that there will be no change in the constitution to make Turkey a presidential republic. Of course, their opinions are seriously influenced by what they learn from the media, such as the bribery scandals involving public officials, highly-publicized arrests and trials. They are also worried over the rumors that the elections could lead to an aggravation of the situation in Syria – a problem that appears only to be growing, and not diminishing. The opposition is making the most of the election campaign. Erdogan has decriminalized marrying via religious ceremony without registering a civil marriage. That’s what the religious part of the population wanted. The opposition rushed to say through the media that this new law would lead to husbands killing wives with impunity. A group of 200 Turkish intellectuals and scholars have appealed to the authorities, asking them not to encourage the polarization of society. They are protesting against the 10 percent threshold for getting into parliament, against legal prosecutions, and against using religious rhetoric in election campaigns. Turkey’s Human Rights Association (IHD) issued a report in May, saying that between March 23 and May 19 offices belonging to the People’s Democratic Party were attacked a total of 114 times. The incidents included three armed assaults, two arson attacks and two explosions. There have been violent attacks on members of the ruling party as well. In May, Cüneyt Yıldız, the mayor of the Gürsu district in Bursa province, was fatally shot in his office. Last week, Cumhuriet published footage showing local security authorities searching trucks with weapons inside, allegedly on their way to Syria. Istanbul prosecutors launched an investigation into Cumhuriet’s article, and Prime Minister Ahmet Davutoglu said that the contents of the trucks were intended for Turkmens in war-torn Syria. Turkish society is seriously split about whether the country should be supporting the Syrian rebels. On the one hand, Turkey has been giving Syrian refugees significant aid for three years, while international organizations have reduced their aid. Many Turkish people have gotten jobs working in refugee camps, or by helping those living outside them. Although about 2 million refugees have flooded into Turkish cities near the Syrian border, there is no hostility toward them on the part of the Turkish population. But the protracted war raises concerns, as do the occasional clashes on the border and armed groups entering Turkey from Syria. In 2014, the governor of the Hatay border province mentioned in a report that over 100 ISIS militants had stayed in hotels in the town of Reyhanlı. And parliament member Turgut Dibek (of the People’s Democratic Party) even went as far as accusing the government of supporting ISIS and Jabhat al-Nusra. Erdogan’s critics like to hint that eventually the Syrian rebels will turn against him, but I find that hard to believe. I have been to Syrian refugee camps a couple of times, and the absolute majority of people there are fervent supporters of Erdogan’s, grateful for the help that no other country has given to Syrian refugees. This opinion has quite an influence on the conservative section of Turkish society, which feels helping their brothers in need is a religious duty. The issue of whether the US should be training the Syrian rebels is widely discussed in Turkey. For almost two years there has been no news on the subject, giving rise to various rumors and speculation. In February 2015, Turkey and the US signed an agreement on training and equipping moderate Syrian opposition fighters – not in Turkey, but in Jordan. The scope of the training does not seem to be extraordinary: in a year 400 training instructors are to get 2,000 fighters ready. Erdogan has insisted on numerous occasions that there should be a no-fly zone over Syria, but the US has not supported him on this. The chief of the Turkish General Staff, Gen. Necdet Özel, added fuel to the fire by taking a two-week medical leave before the elections. Erdogan’s critics saw this as a sign that he opposes the potential involvement of the Turkish army if the situation on the Syrian border escalates, and urged him not to involve the military in politics. On May 22, the New York Times ran an editorial accusing Erdogan of cracking down on the opposition and journalists. Erdogan’s emotional reply was not to interfere in Turkey’s affairs. The reaction was swift. The former NYT bureau chief in Turkey, Stephen Kinzer, was due to receive honorary Turkish citizenship, but it was abruptly canceled. He came to Gaziantep, a border province, to receive this title in recognition of the role he played in preserving the famous mosaics in Gaziantep. The ceremony was simply canceled, and the honorary citizenship not granted. Kinzer believes that his January 4 opinion column, in which he called Turkey “the ally from hell,” was the reason. Many of Erdogan’s foreign policy statements have added to his popularity at home. He supports Palestine and the Palestinians, and criticizes Israel. In 2011, he said that he would visit the Gaza Strip. Although that visit never happened, Turkish funds had been giving Gaza hefty aid up until the coup in Egypt and the total blockade introduced by the el-Sisi regime. Erdogan has repeatedly expressed his support for the convicted Muslim Brotherhood members in Egypt, and says that he considers Mohamed Morsi to be the country’s president. He has even proposed to the Egyptian authorities that the Muslim Brotherhood prisoners be transferred to Turkey. This kind of rhetoric undoubtedly resonates with the conservative and religious part of the population. But Erdogan’s opponents have used his rhetoric against him as well, at times resorting to dubious comparisons. For example, the idea was expressed that since Erdogan got the same proportion of votes in the presidential election as Morsi (51.8 percent), his political career would end the same way. On one hand, such attacks only increase the support for Erdogan, but they also encourage his opponents. But the ruling party’s spin doctors are quite good, and Erdogan has great intuition when it comes to making a gesture. Once, a Turkish orphan wrote a letter to Erdogan, asking him to attend a parent-teacher conference in his school. Erdogan’s supporters were ecstatic when he not only came, but also declared that he would be the boy’s legal guardian. As Muslims anywhere in the world are well aware, taking care of an orphan is one of the most righteous acts for a Muslim. The Justice and Development Party has many such fine gestures up its sleeve. Even though many Turks think that the president is overusing the religious theme, it works on the common people. Be that as it may, Erdogan is the only Muslim leader who unwaveringly stands up for religious values and principles, fights for justice, speaks up for Palestine, the Syrian people and the Muslim Brotherhood in Egypt, and talks about all the political issues that concern Muslims in Turkey and outside it. Will his rhetoric help him this time? The June 7 election will show us the answer.